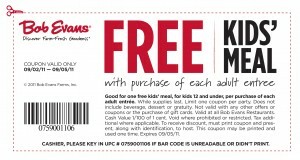 I am so excited that Bob Evans has shared a BEMail exclusive coupon with me, to share with you for use this weekend! 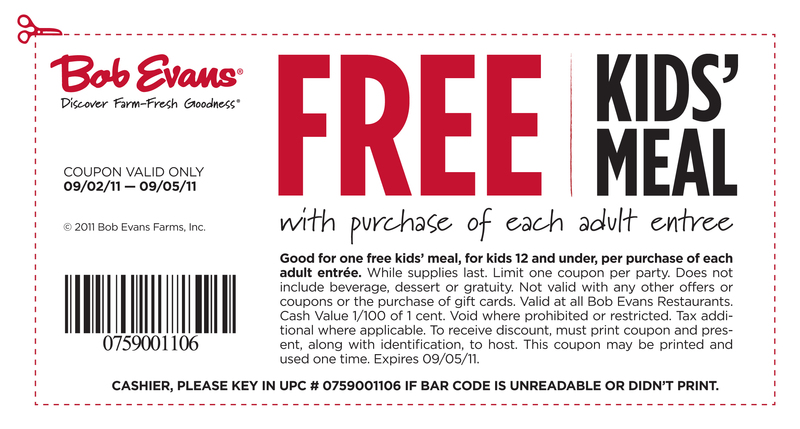 Get a FREE Bob Evans Kids Meal with purchase of Adult Entree, valid 9/2-9/5/11 ONLY! Stop missing out on Bob Evans coupons and sign up for BEMail here. As a thank you for signing up, you’ll receive a B1G1 Bob Evans Sides coupon for use at your local grocery store.